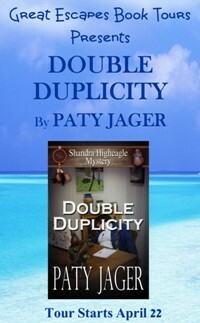 I liked Double Duplicity so much I went and bought the next book in the series. It has a good mystery. Likeable characters, drama, romance and action. This book will have you on the edge of your seat right in the middle of the action. 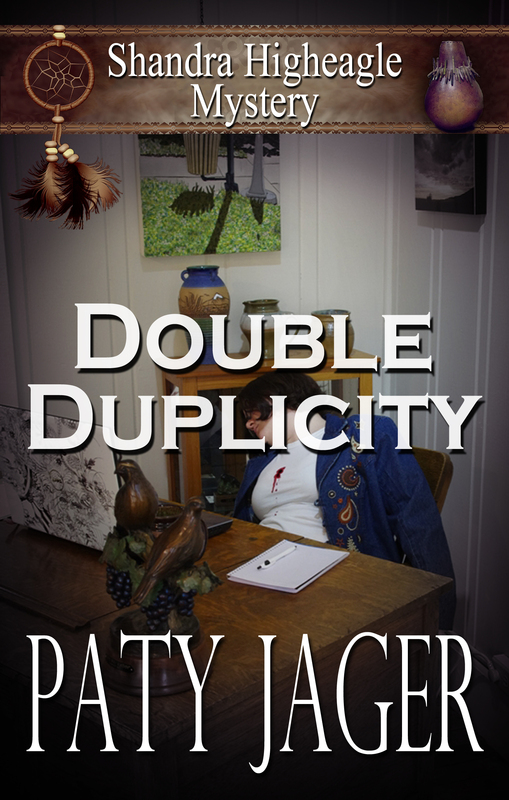 Jager blends culture, small town issues, family conflict, and murder into an enjoyable read. I loved watching the detective Ryan and Shandra spin in circles working on their relationship. Mystery, romance, small town, and native American heritage combine to make a compelling read. This is going to be among my favorite series. I wanted to read through in one sitting, but I also wanted to make it last and enjoy the experience. I loved so much about it – the Native American theme, references to shamanism and psychic dreaming. This was a really enjoyable and well-written cozy mystery. I’m a fan of Shandra and look forward to reading further installments in this series. I think that those who enjoy a good romance with a bit of mystery in a Western setting will like this book and want to follow the series. A goodie bag with the first book of each of my Native American series (That’s 3 signed print books- Double Duplicity, Spirit of the Mountain, and Secrets of a Mayan Moon) Plus the swag for each series and other goodies.